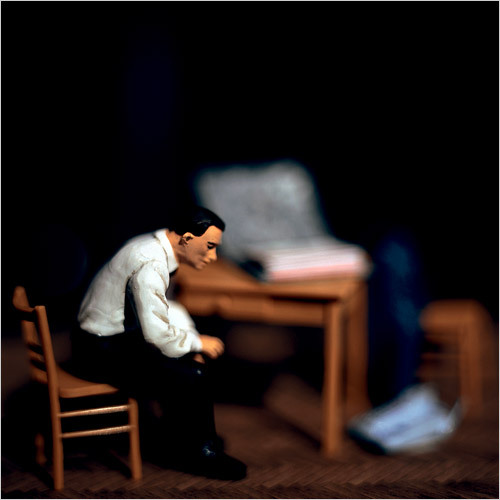 I’ve written about artist-photographer David Levinthal on this blog before. Now I’ve discovered he does photo illustrations, too. Regular New York Times readers may have seen his soft-focus photos in the August issues of the Times Sunday Magazine, illustrating “Mrs. Corbett’s Request”, a serialized story by Colin Harrison. Levinthal captures the weary, down-at-the-heel atmosphere of Harrison’s tale perfectly.